Let's enjoy life in Japan more!!! The best season for OHANAMI has finally come!! The cherry blossoms in full bloom are very beautiful. OHANAMI is one of Japanese spring cultures. We enjoy the transient beauty of cherry-blossom, sometimes over some drink and meal. 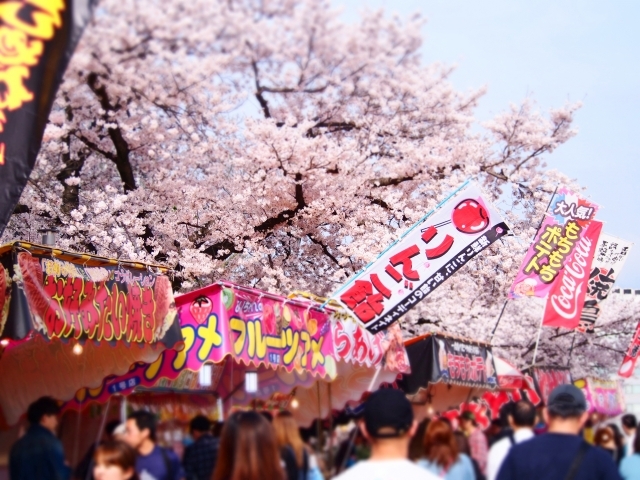 There are many places for OHANAMI, but do you know the best place called SAKURA BEST PLACE 100 selection? It’s selected by Cherry Blossom Party Organization in 1990. There are 4 in Tokyo, 3 in Yokohama as well. My recommendation is UENO park. You have fun not only doing OHANAMI but also going to many interesting places such as zoo around there. There are no Jollibee and INASAL. But….. Copyright(c)Specified Nonprofit Corporation Filipino Community in Japan . All Rights Reseried.